The look of the spa is a very important aspect when designing the spa, however, certain requirements must always be considered before moving on to the creative aspect of spa design. For this reason, it is necessary to consult an expert in spa interiors or someone who has had experience in setting up spas of their own. 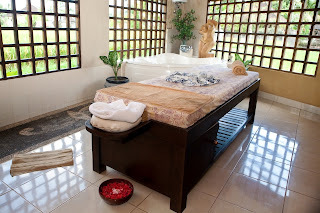 Personal knowledge of the therapies to be provided also plays a very important role. Location – The location of your spa depends on your customer base and of course, the cost of real estate. If open to public, the location must be in a place where people generally hang out for relaxation and fun and where the entrance to your spa can be prominently seen. 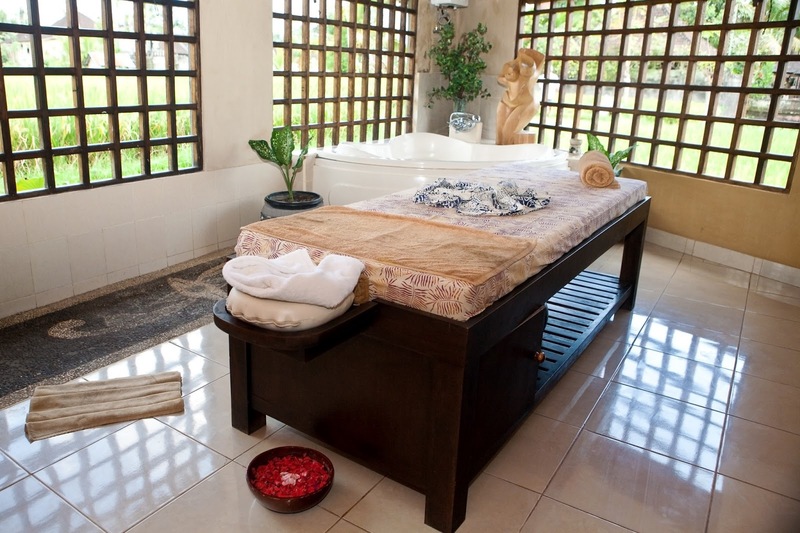 Keep the therapy requirements in mind – The layout of your spa will depend on the flow of the therapies provided. A changing room, treatment room, steam room, shower room etc. will have to be included in the plan as per requirement. For example, if your therapies include wet room treatments, you will require such a room equipped with Vichy shower and appropriate washable flooring etc. You will have to visualize the treatments and their flow and consider the comfort and least effort on the client’s part. Furniture – Apart from a comforting retreat-like feel, most of your furniture will depend on what kind of therapies you have to offer. Will it be traditional Indian in case of Ayurvedic therapies, or Balinese, Thai, or a more Westernized look? 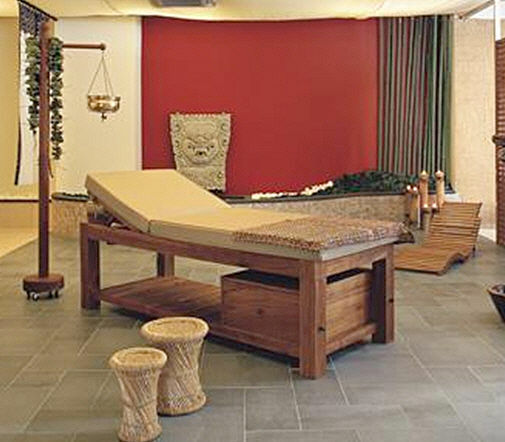 The massage tables and oils on display also depend on the type of therapy provided. For example, if your therapy includes Shirodhara, you will require a different massage table with head support for your client and a drain for the oil. 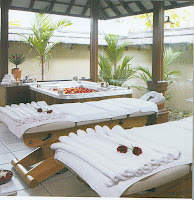 Balinese massage requires a larger, wider and sturdier table while Swedish massage can have a more delicate and stylish table. If your therapy includes Khizi (Potli massage) you will have to make sure that arrangements are made for a heater beside every massage table. Safety – Antique show pieces and shelves with fountains and lights, etc. are wonderful for the look of the spa. But keep safety in mind. Shelves should never be placed where there is a possibility of a client or staff member’s head banging into it. Corners of the shelves should be blunt for the same reason. Use flooring and material that are anti-skid and safe. Cleanliness – The rooms will look relaxing and large if minimum clutter is kept in them. Keep everything neat and clean. Hygiene is the main concern for all clients and it can make or break a spa. Privacy – Consider the privacy of a client. Many foot spas keep many chairs together without any partition as it does not require the clients to change out of their clothes. However, not all people can relax in public and a collapsible partition or option of the same can be provided for those who want it. Waiting room – Again, depending on your area, marketing and client base, you may require a small, medium or large waiting room. The clients will require something to do while waiting. Plan the room accordingly. It should be a welcoming and friendly place. Pantry – A fully equipped hygienic pantry for heating water, mixing oils or product, preparing welcome drinks or snacks for the clients, etc. is a must for every spa. Therapist Room – Therapists (employees) are the backbone of the spa. They are the ones doing the hard work for long hours. If the therapists are tired or disgruntled, the services of the spa will suffer. And so it is very important to provide a separate room and washroom for staff to rest and for their personal needs. A sofa for resting and a small table with chairs for their lunch time would also be thoughtful. This room should never be forgotten when planning a spa.